Just as our personality is a mixture of inherent traits and characteristics that develop over time, your brand is a mix of existing factors and developed characteristics. Branding is how you shape and communicate that personality to your customers. While some truths of branding will always stand the test of time, others change depending on the needs of your audience. No one likes a bad surprise. Your customer wants to know what to expect from your brand experience before buying into it. If you create a message that is not true to your brand, you will have no chance at creating loyalty or repeat experiences for your customers. Address weaknesses within your brand with honesty, and your customer will respect your transparency and feel a more intimate relationship with your brand. For example, McDonald’s Canada’s “Our food. Your questions.” campaign directly addresses the negative perceptions about its food with honest answers to crowd-sourced questions. Not only did this campaign garner over 42,000 questions and 3.8 million website visits, but it also made customers feel cared for and made them feel like a part of the brand experience. While focus group testing and traditional methodology such as surveys are still valuable tools for understanding your audience, they are far from the only tools available to us for understanding our audiences. They might not even be the best predictor of your audience’s behavior. So how do we get around this and get to the truth? Simple: search history. Studies have shown that online searching/browsing history and social activity are far better and more accurate predictors of audience attitudes than traditional methods. They are far less intimate interactions than individual interviews, but it is important to make sure that your brand utilizes the most recent cutting-edge technology to understand your consumer. Today’s audience, especially Generation Z, wants to share values with their favorite brands. This does, however, get back to the important point of staying true to your brand. Don’t jump on a bandwagon cause just to be a part of a movement; if you feel that a certain cause is important to your brand and enforces your message, voice your support. A fantastic example of this is Google’s support of Girls Who Code. 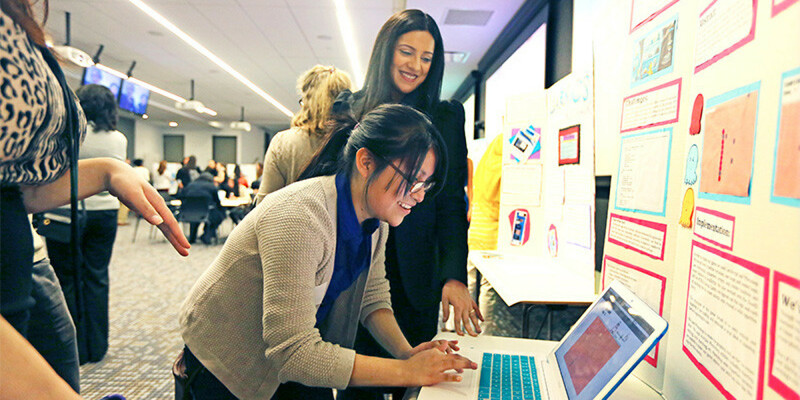 Girls Who Code aims to close the gender gap in computer and information technology jobs by educating and empowering young women in those fields. Google gave the organization a $500,000 grant to expand its Summer Immersion Program, community-based Girls Who Code Clubs, and programs that target female high school students. This endorsement creates brand loyalists and future leaders for the company itself. It has been proven time and time again that loyalty has more monetary value than a single sale. A successful branding campaign often means more dollars down the road than one that causes a lot of initial conversions. A display ad for a sale may be efficient in terms of time spent creating it and clarity of messaging, but studies show that today’s consumer, especially younger consumers, shy away from traditional advertising and tend to respond more to content-based advertising. The downsides of content-based marketing from a logistical standpoint are obvious: It takes more time to create; there are fewer opportunities for placement; a specific voice appeals to fewer customers, etc. However, it gives your audience an opportunity to truly learn from and connect to your brand, which will keep them coming back for more. An example of this outside of content-based marketing is REI’s “#OptOutside” campaign. On Black Friday of 2015, the outdoor gear retailer closed its stores and encouraged its customers not to shop. The campaign quickly went viral because it connected so deeply with the values of REI’s customer base. When REI repeated the campaign in 2016, more than 275 national and local organizations formed a movement in solidarity with the campaign. By placing the bottom line further down on the list of priorities, REI earned the loyalty of its audience and a Cannes Gold Lion award to boot. There are certain inherent traits that your brand is “born” with. The rest of your brand’s personality is up to you to develop, so have fun with it! If you have an idea that might be a little outside your comfort zone that you feel strongly about, experiment! Think about Geico’s wildly successful and fun brand image — the insurance industry is not traditionally known for its silliness, but Geico has truly made the space its own. To learn more about our Branding process and how we can help you optimize your brand, visit our Branding Page, email Gabrielle Diepenbrock, or call us at 828-259-9910.